Investigators release surveillance photo in June 14 robberies | Crime Stoppers of the Lowcountry: 554-1111 | 1-888-CRIME-SC | Anonymous tips earn cash rewards with Crime Stoppers of the Lowcountry. CHARLESTON, SC (WCSC)- Charleston County sheriff's are searching for a person of interest in relation to the June 14, 2012 armed robbery. 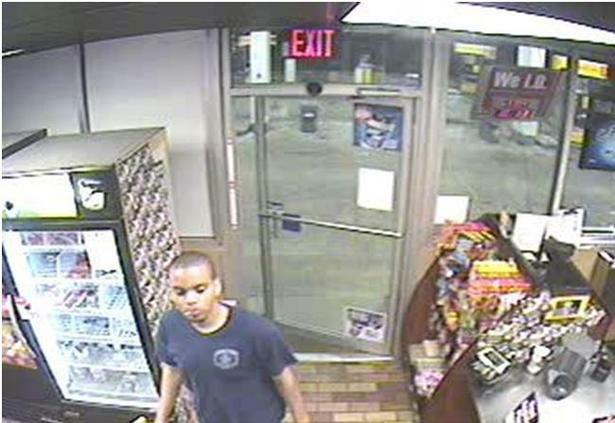 Deputies say a Circle K convenience store was robbed around 12 a.m. on June 14. Moments before the armed robbery, a person of interest is spotted walking into the store by a surveillance camera. The suspect in the robbery is still being sought and is described as a black male, approximately 6-feet-tall. At 12:45 a.m. that same morning, a Subway restaurant located at 3750 was robbed by an unknown male suspect. The suspect was also caught on surveillance. If you can identify the individual, call Detective C. Moyer-Smith at 843-308-7313 or CRIME STOPPERS at 843-554-1111.